Brandon said Hoke didn't ask about pay when he accepted the job, and the only other coach he knows who didn't ask about pay was Bo Schembechler. "We will always be about the team at Michigan"
"This is not about Brady Hoke. This is about Michigan." "Character wins in life, and character wins in football." "Football is a tough man's game." "We are a team that will compete with a high degree of effort." 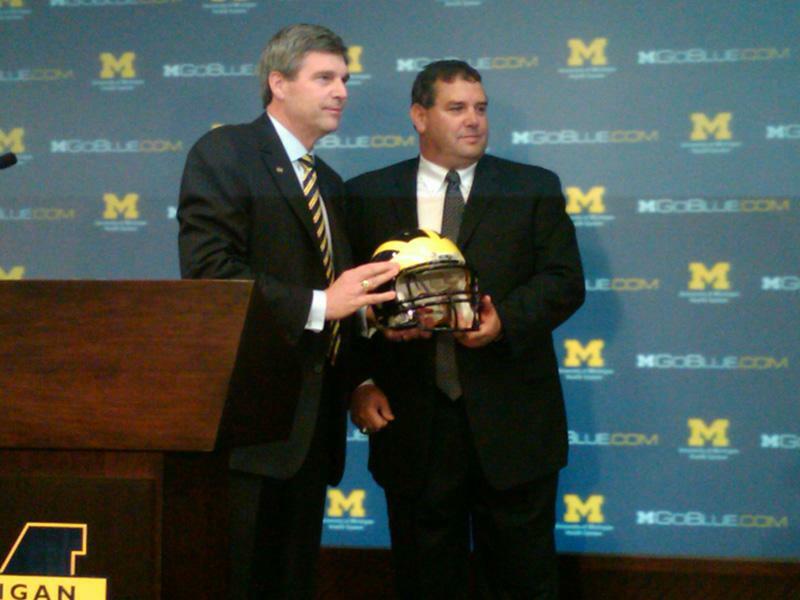 "We're going to respect the tradition of the University of Michigan and its football program." "We're going to work hard for the kids in this program, and we're going to work hard for the University of Michigan." Hoke choked up when he thanked the players he's touched as a coach over the years. Many former players showed up for the press conference introducing the new head coach. Michigan Radio's Steve Carmody will have more on today's press conference. 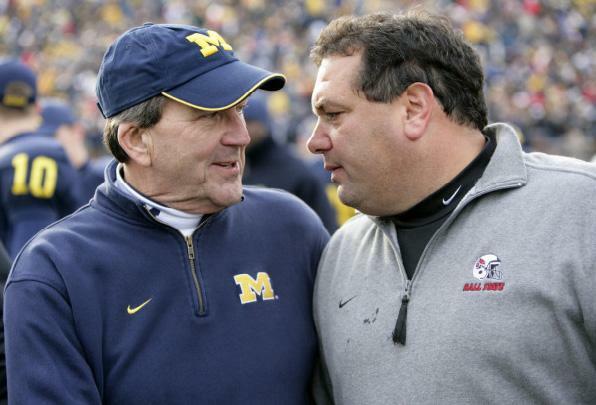 The University of Michigan's athletic department announced today that San Diego State University’s Brady Hoke will lead the Wolverine football program. 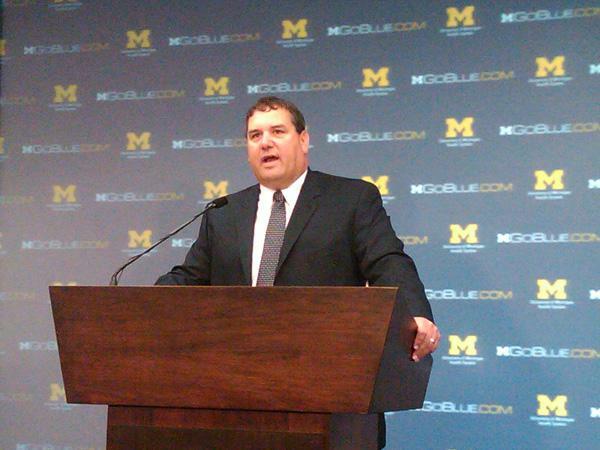 Brady Hoke is no stranger to Ann Arbor. He worked as an assistant coach for the Wolverines for 8 seasons including on 1997’s national championship squad. 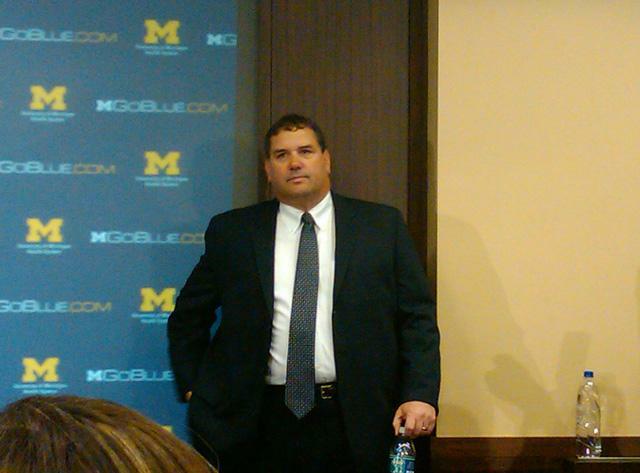 Hoke’s 28 year career includes stops at Grand Valley State, Western Michigan, and Toledo.